Advertisers Publishers Login Sign up today and start optimizing your inventory. Serve the right creative, from the right network, at the right time. Real-time algorithms intelligently optimize your available inventory. Combine existing Ad Networks, Direct Ads, Affiliate Offers, and more. Advertisers Publishers Sign up today and start optimizing your inventory. Quick over-view of revenue, traffic, and balance. Detailed information on revenue plus two day projection. Sign-up and start optimizing in 60 seconds. Automatically trial new Ad Networks by setting matching rates. Create passback tags and monetize unfilled inventory. 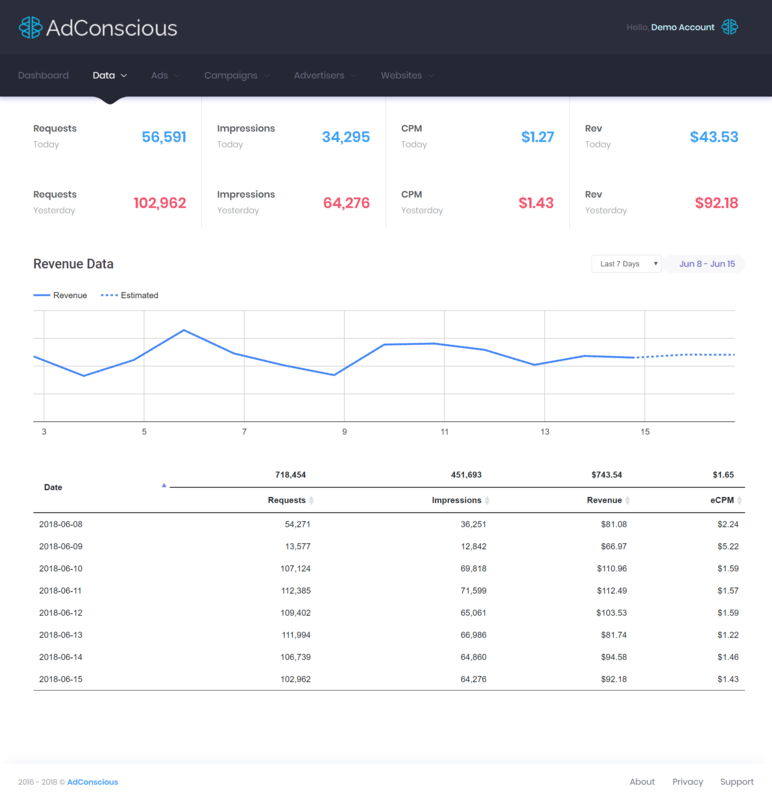 Invite Advertisers to register, pre-pay, and advertise directly. 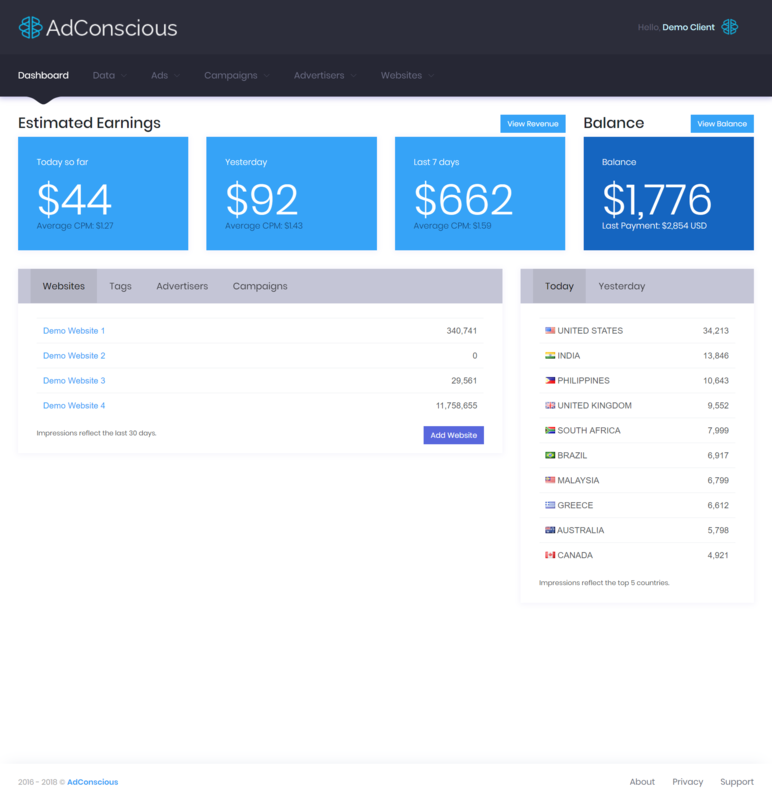 2014 - 2019 © AdConscious.com - Instantly boost your revenue!